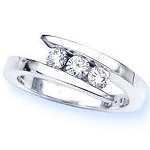 Getting engaged is one of the fascinating moments that make your life happening. 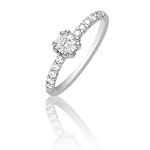 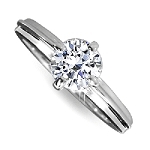 Present her moments with the engagement ring that will reflect how special your relationship is. 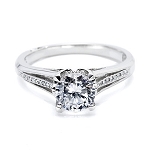 Your love is a mirror that echoes through the natural beauty of sparkling diamond Solitaire Ring, the timeless expression of the soul. Since you have taken note of what she likes, how she dresses and listen to music, a Single Diamond Ring can be the ultimate engagement ring souvenir for her. 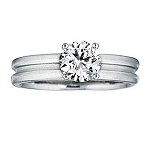 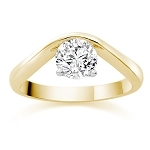 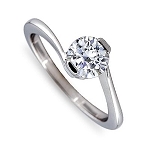 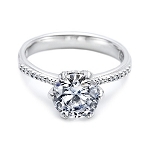 Solitaire means one, the one accent diamond that stores the evergreen love union between you and your sweetie. 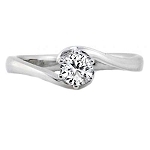 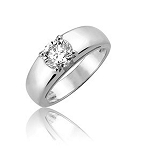 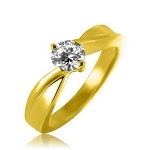 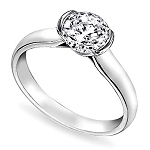 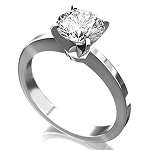 You know your girl, her style and taste gift her solitaire power of love that will take her breath away for a moment. 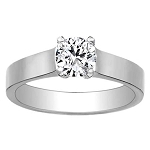 Deceptively simplistic yet so extremely sleek and gorgeous in design, diamond solitaire rings are one of the most classic choices for your engagement. 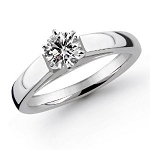 Today, engagement rings are as stunning as ever that can be found in a range of designs, fancy cuts and colors to suit your vivid taste. 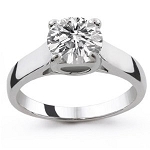 Queen Jewels understand that buying a Single Diamond Ring for engagement can be a daunting task and that's why we give you the absolute pleasure to browse over our selected collections for both men and women that matches your style and budget. 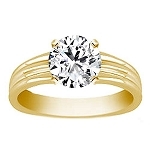 From elaborate and bold to simple and dainty, you can prefer from our sleek, stylish and gorgeous Solitaire Diamond Ring in pure yellow or white gold. 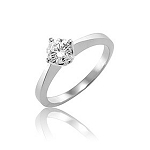 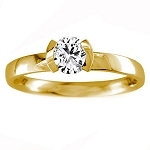 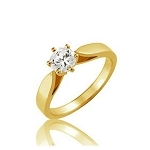 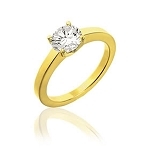 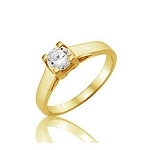 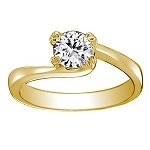 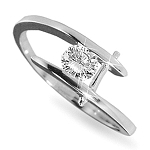 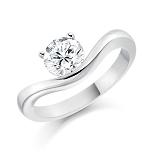 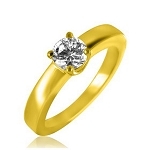 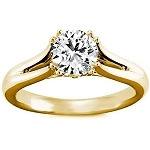 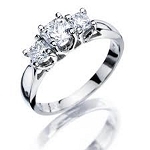 Our ring gallery also has a solitaire collection for men. 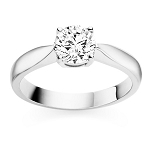 Since he is the contemporary male who believes less is more and embraces love the true power, our stunning Single Diamond Ring features perfect setting of diamond matching just like hers and is designed to last a lifetime. Whether you are looking for 1 Carat Solitaire Diamond Ring or 2 Carat Solitaire Diamond Ring or even 5 carat diamond ring, the rare fusion of nature and art will enamor you to celebrate your special moment with awe. 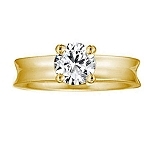 Gift the ring with our red ring box and our personalized designs and certified card. 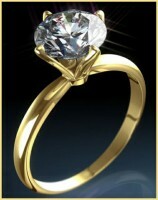 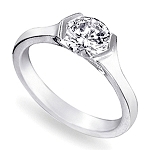 Princess Cut Diamonds Rings : It features a square cut diamond perfectly mounted on a single band of the solitaire ring. 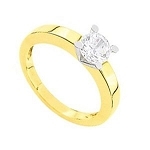 Emerald Cut Diamonds Rings : Rectangular shaped with cropped corners, it is the ultimate classic choice for those who celebrate love as free and mighty. 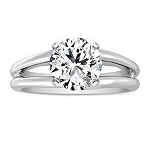 Inspired by the true unity of love, a diamond solitaire ring holds the precious affection of love by balancing the perfect equilibrium of power and grace. 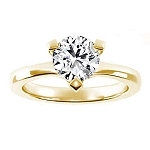 Exactly why, Queen Jewels choose the forever diamond for you with passion and expertise and gracefully set each one to maximize its beauty. 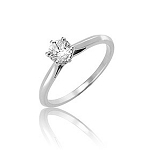 Choose from our dazzling range of diamond solitaire rings specially made for you just as the way you both are made for each other.